The captain strolls out onto the upper deck of the V2V Vacations ship, a smile on his face. He has detoured from his route—Vancouver’s Coal Harbour to the Victoria Harbour—to let his passengers admire a pod of transient orcas. 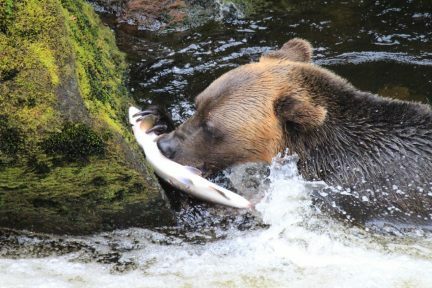 Everyone braves the whipping wind for a glimpse of these majestic creatures; each time a dorsal fin pops above the water or a white eye patch is spotted, the thrill of nature chases chills away. 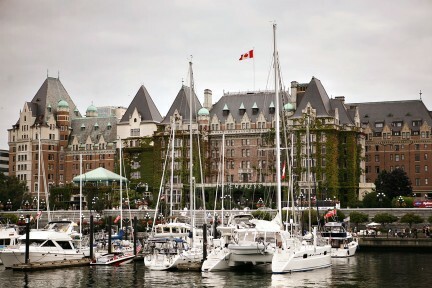 An average ferry ride to get from Vancouver to Victoria involves driving to Tsawwassen or Horseshoe Bay, riding the big boat across, and then driving nearly two hours from Nanaimo. V2V eliminates most of those steps, picking guests up right by the downtown Vancouver Harbour Air terminal in Coal Harbour. 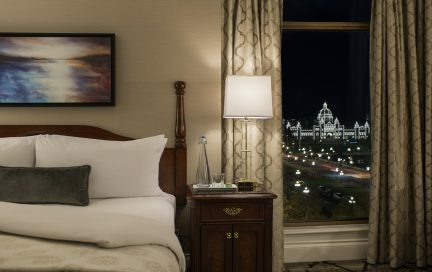 Grab a bite at Tap & Barrel and then head just steps below to catch the boat, only to find oneself right by the Fairmont Empress and the Royal BC Museum once reaching Victoria—it’s almost too convenient. 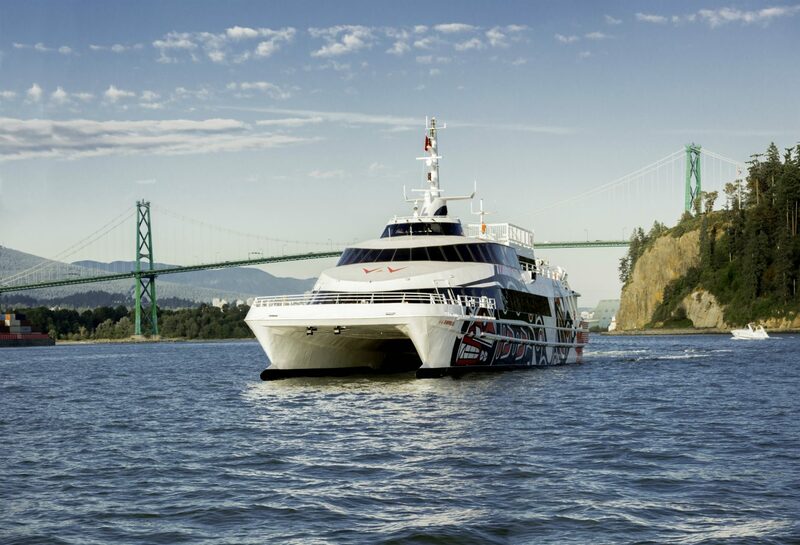 The foot-passenger V2V catamaran is adorned with First Nations artwork, a nod to British Columbia’s Indigenous communities. 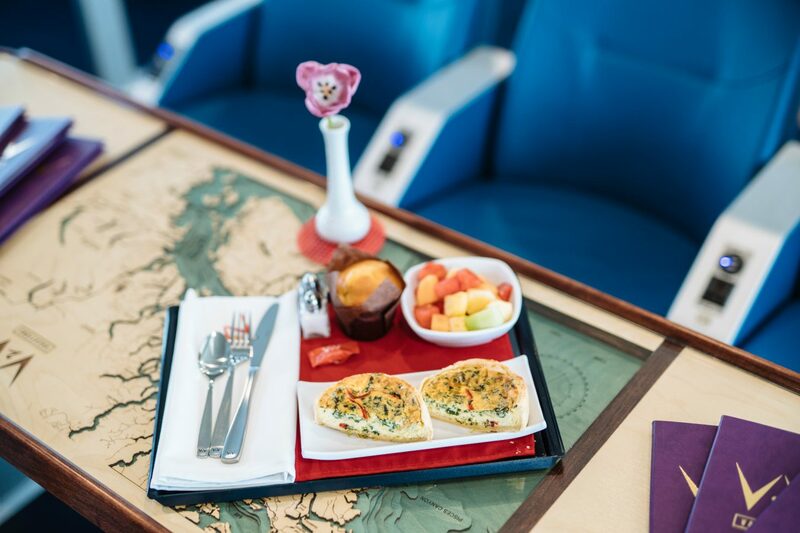 Inside, guests have assigned seats either in Premium Comfort or Royal Class. 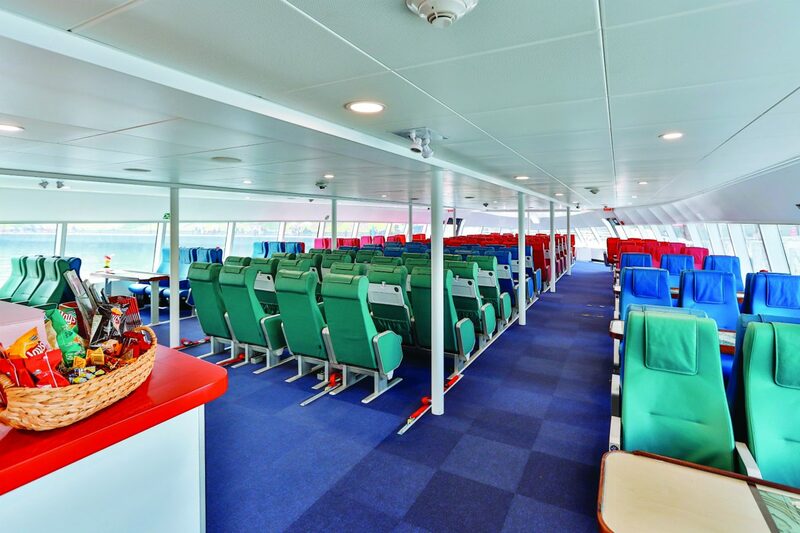 As the lower tier, Premium Comfort includes comfortable ergonomic leather seats, access to the ship’s sundeck, and local food and drinks for purchase. 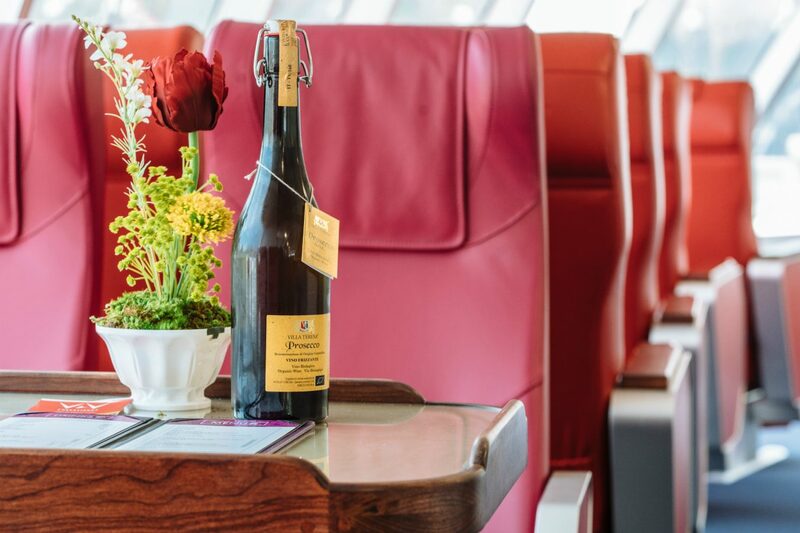 Royal Class boasts bigger seats, better views on a higher floor, concierge service, and complimentary beer and wine, plus a three-course meal. 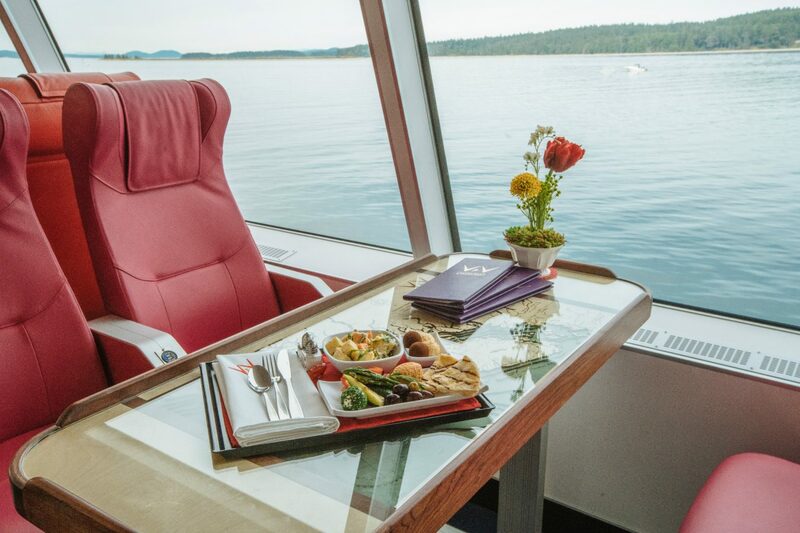 Catching the afternoon ferry to Victoria could mean dining on a sweet potato and yam salad, open-faced sandwiches of smoked salmon with capers and ham with cheese, and decadent truffles for dessert. 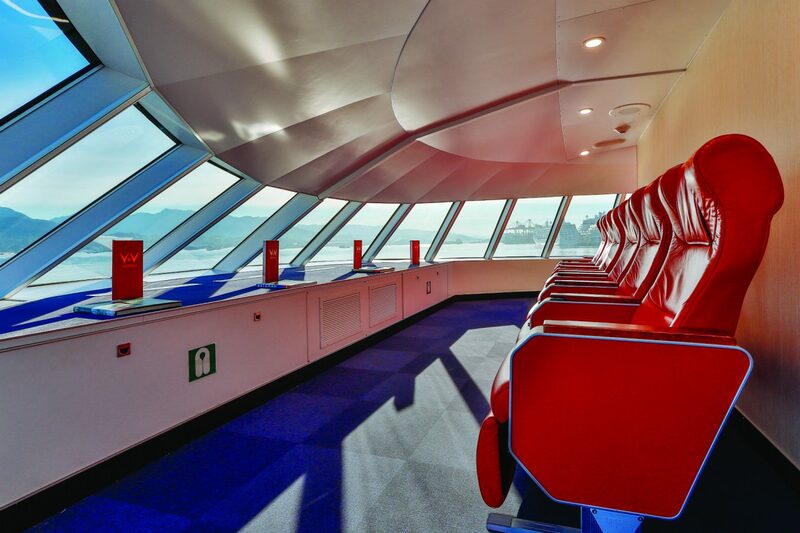 There is free Wi-Fi available throughout the boat, and there are plenty of plugs and USB ports to keep devices happy for the three-and-a-half-hour voyage. The time goes by quickly in this much comfort. 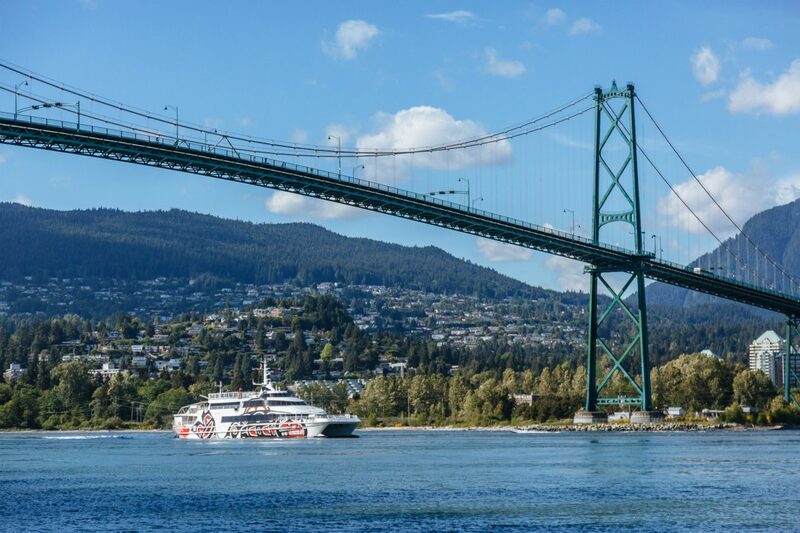 Adding to the experience is a set of automated messages sent over the loudspeakers to educate passengers about different historical and geographical landmarks during the sail through the Southern Gulf Islands. 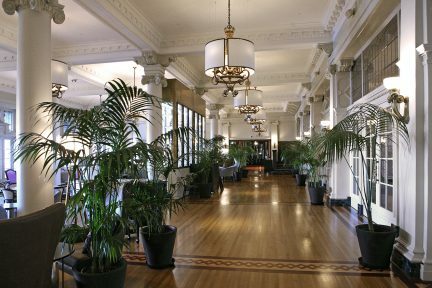 Some captains may add a few fun facts of their own, perhaps pointing out James Island—Canada’s most expensive private isle, complete with a Jack Nicklaus-designed golf course—and D’Arcy Island, which acted as a leper colony from 1891 to 1924 and later became a port for smuggling Canadian alcohol into Washington State. Did you know that Salt Spring Island is home to Apple Luscious Organic Orchards, which is the oldest family farm in the province and its very first fruit-growing orchard? Thanks to V2V, now you do.